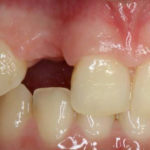 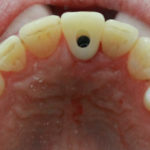 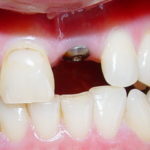 Single-tooth implants (implant crowns) can be used in people who are missing one or more teeth. 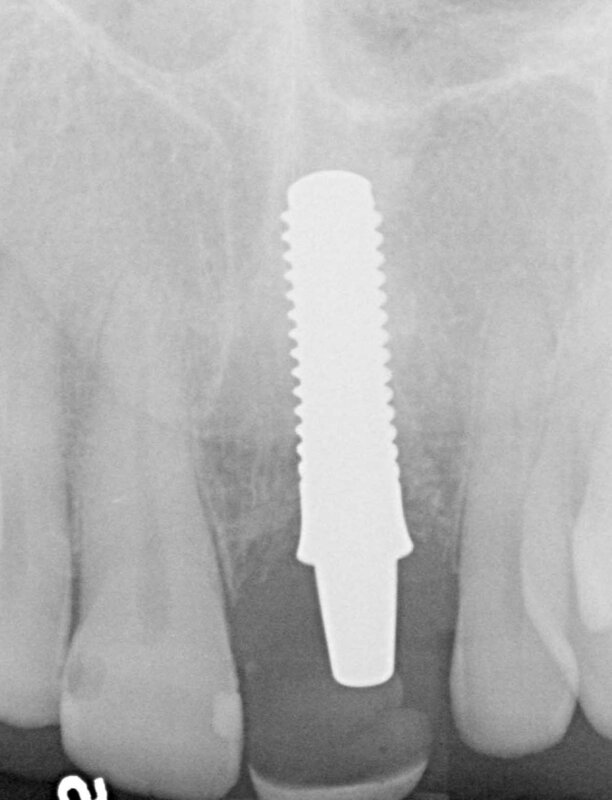 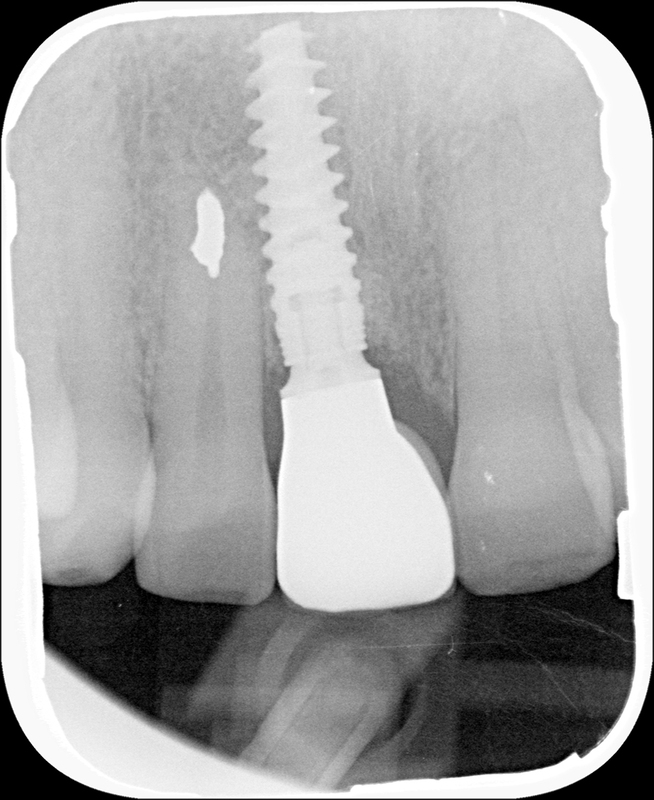 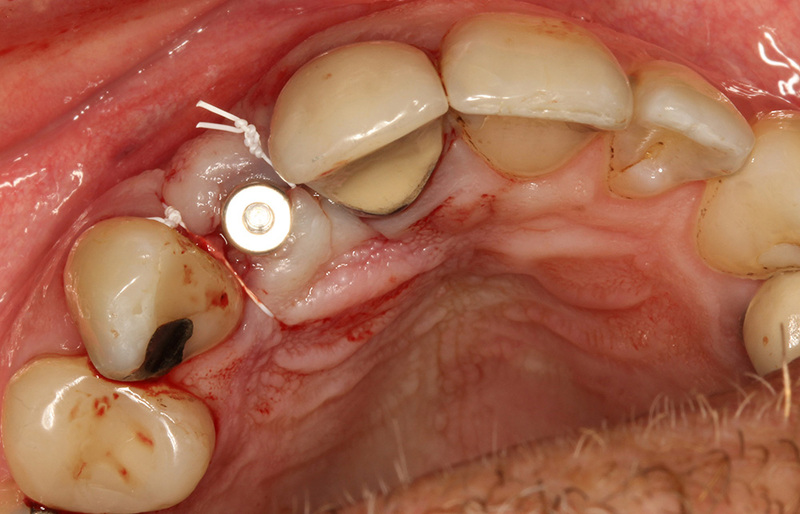 This is the most common type of implant treatment in New Zealand and usually funded by ACC due to trauma. 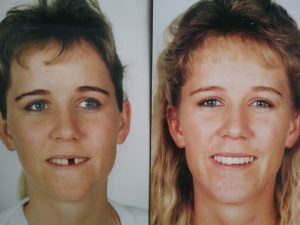 If you have had trauma and lost your front tooth, you could be eligible for ACC support with whom Northland Prosthodontics works closely. 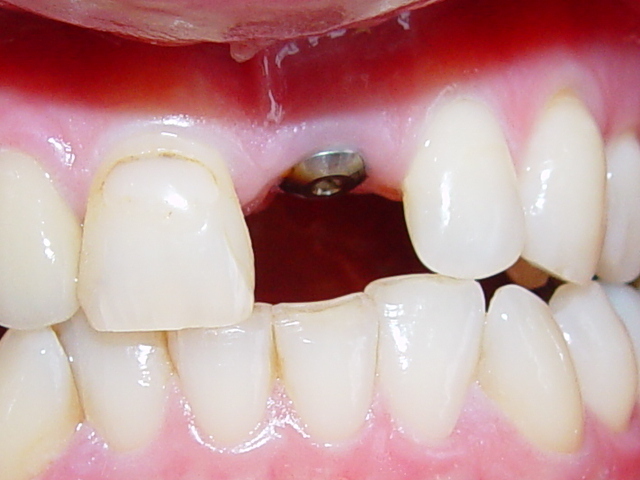 An implant is surgically placed in an opening that your dentist makes in the jawbone. 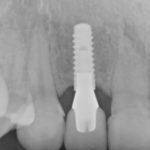 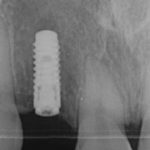 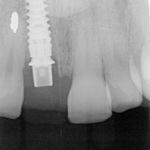 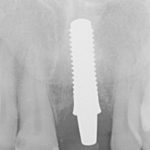 After the implant integrates (attaches) to your bone, it acts as a new “root” for the crown that will replace your missing tooth. 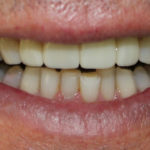 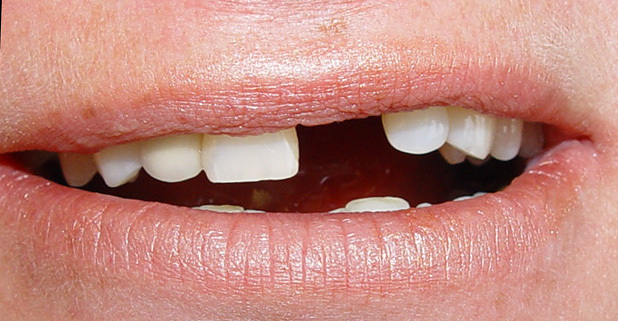 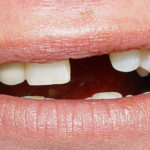 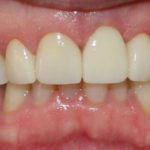 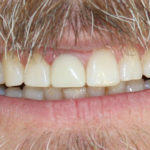 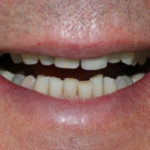 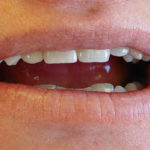 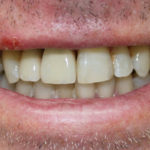 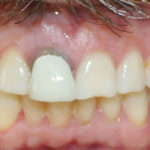 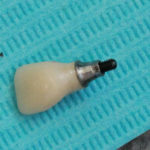 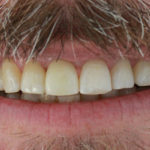 A crown (cap), which is made to look like a natural tooth, is attached to the implant and fills the space left in the mouth by the missing tooth. 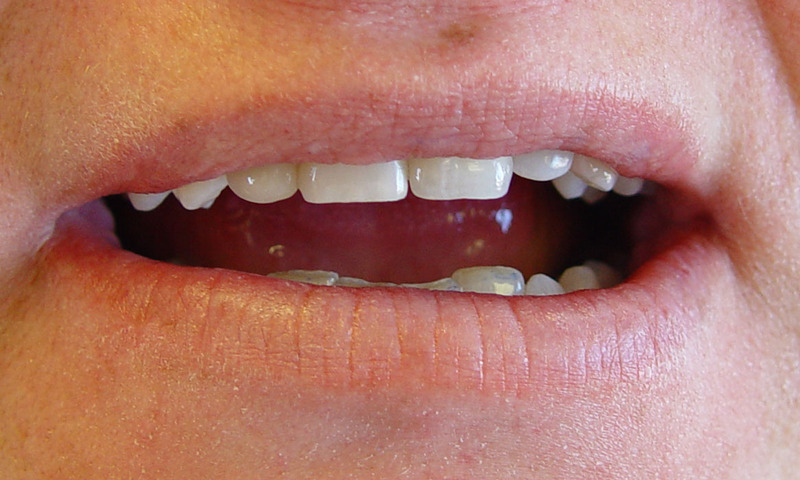 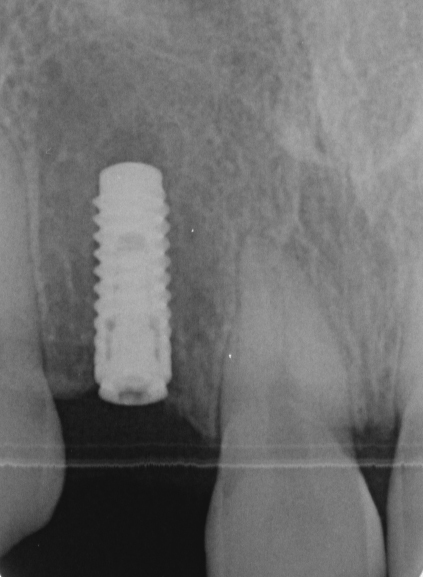 An implant crown consists of several parts. 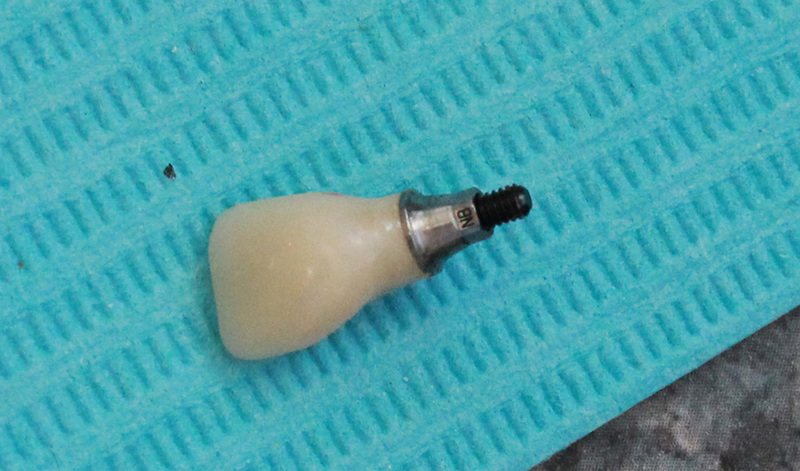 The restoration (the part that looks like a tooth) is a crown. 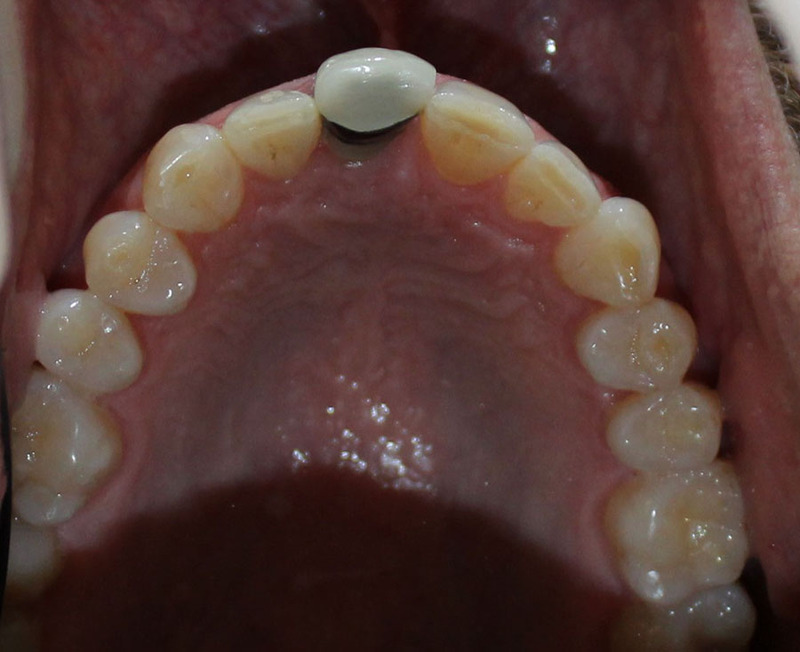 It usually is made of porcelain fused to a metal alloy (PFM). 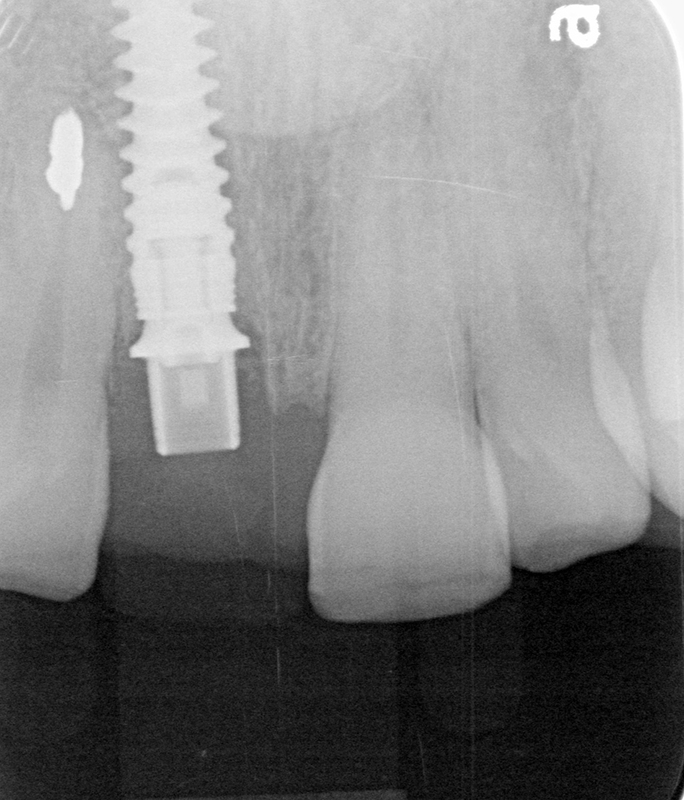 It also can be all metal or all porcelain. 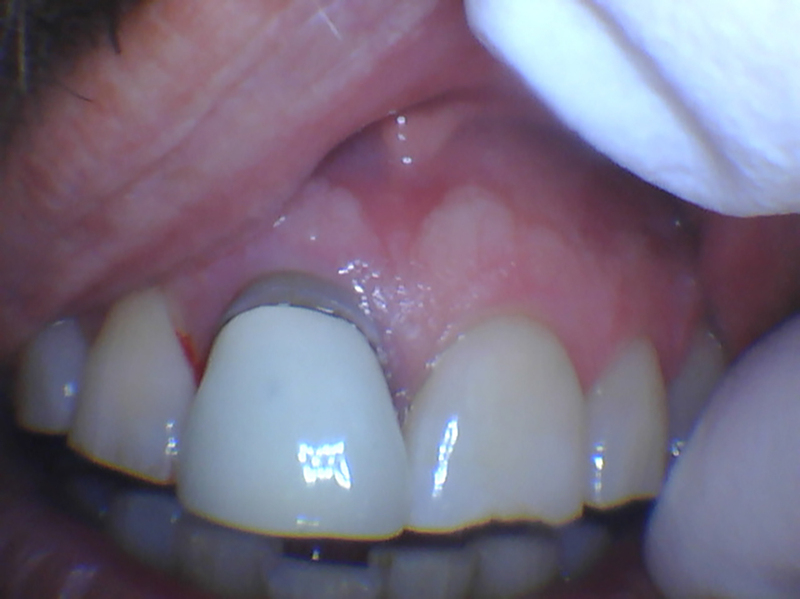 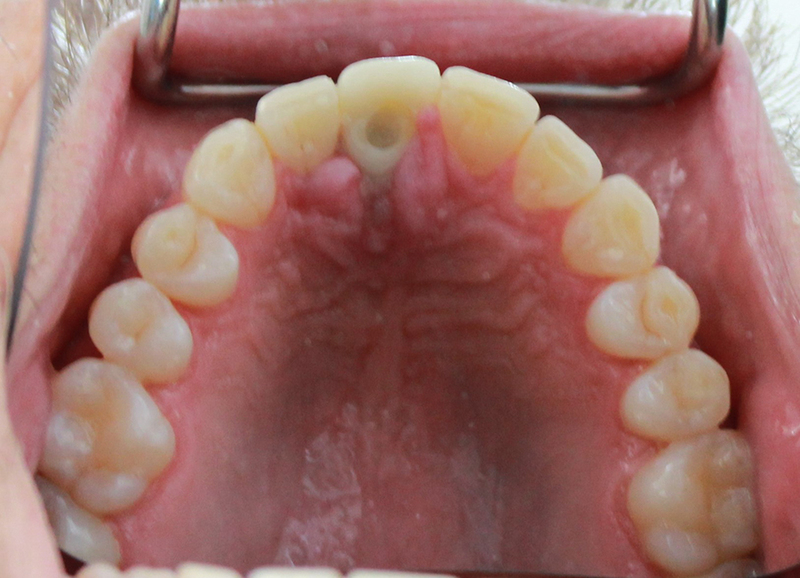 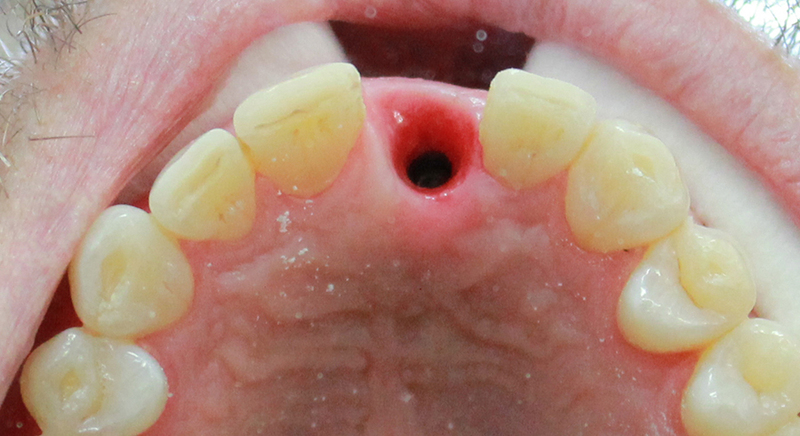 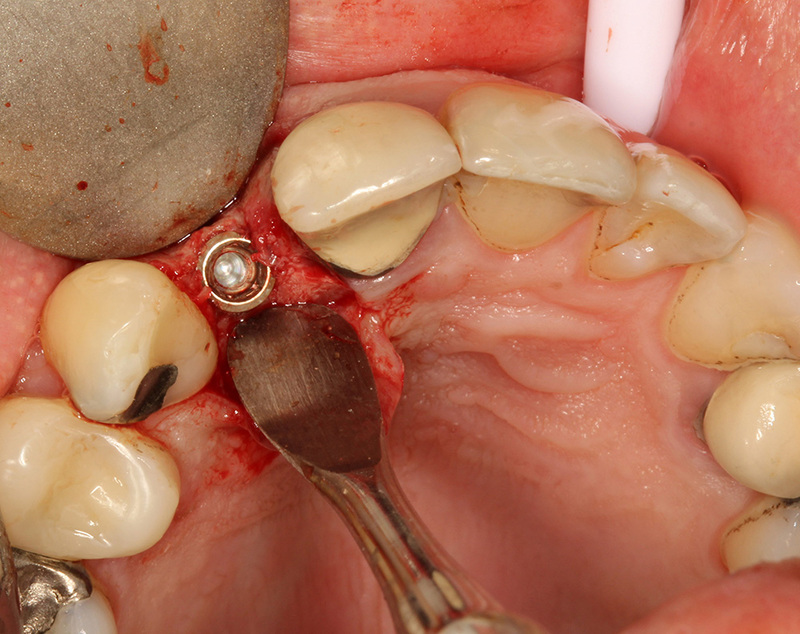 The crown is screwed or cemented onto the abutment. 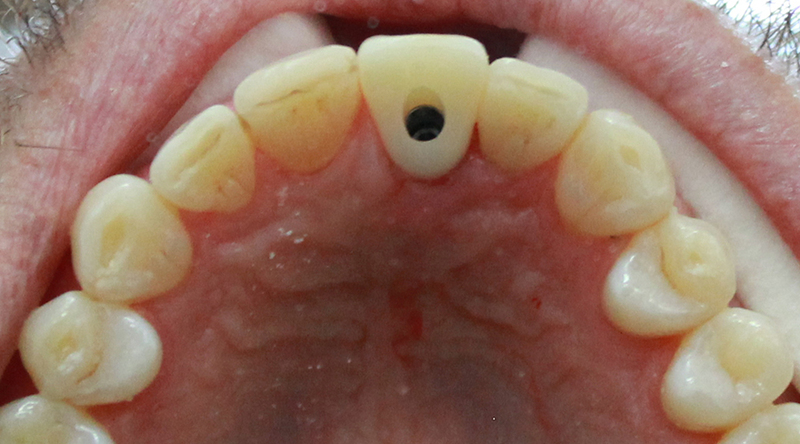 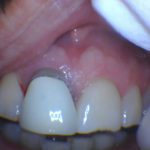 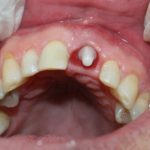 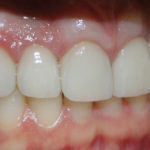 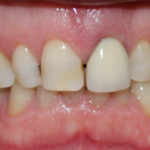 If the crown is screwed to the abutment, the screw hole will be covered with restorative material such as tooth-coloured filling material (composite). 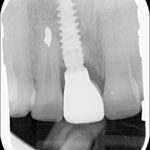 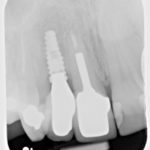 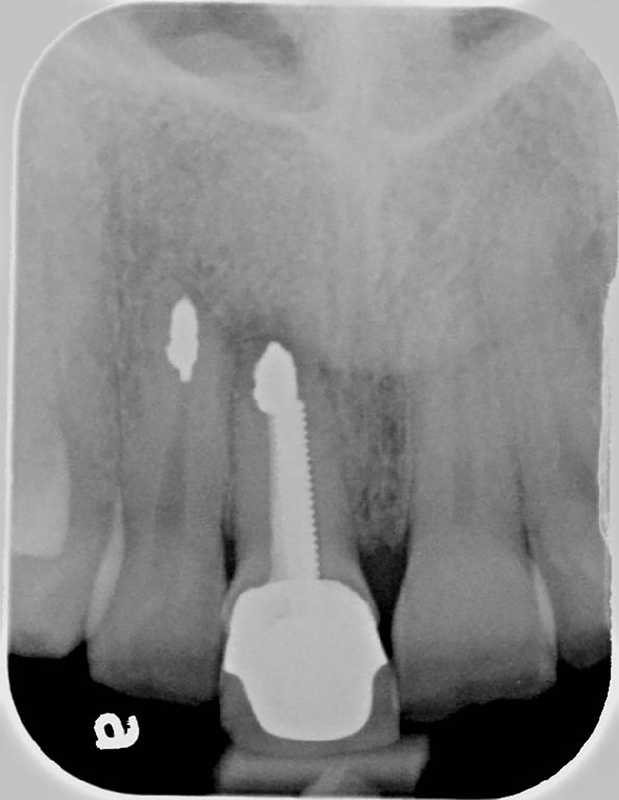 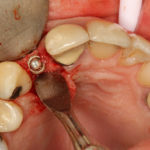 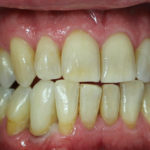 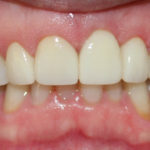 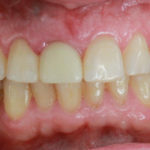 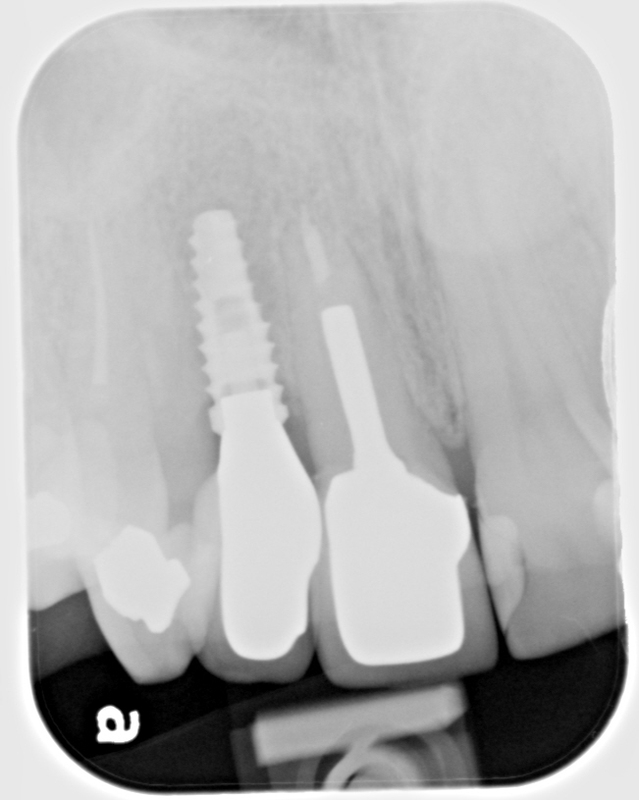 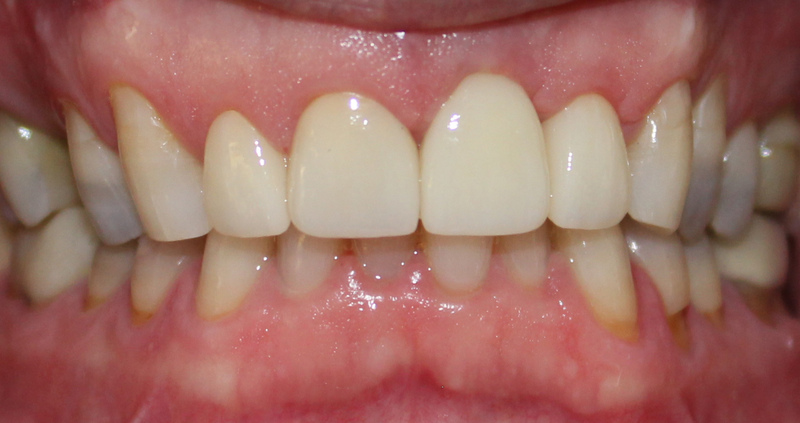 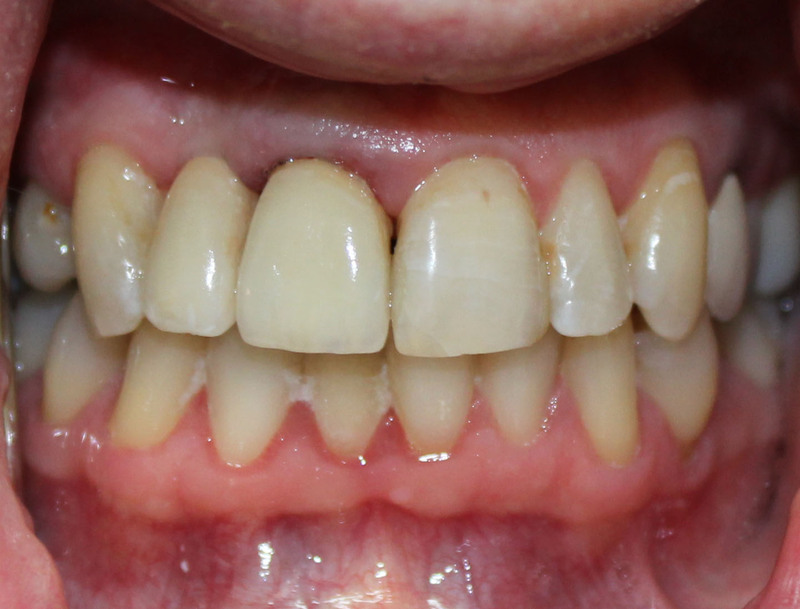 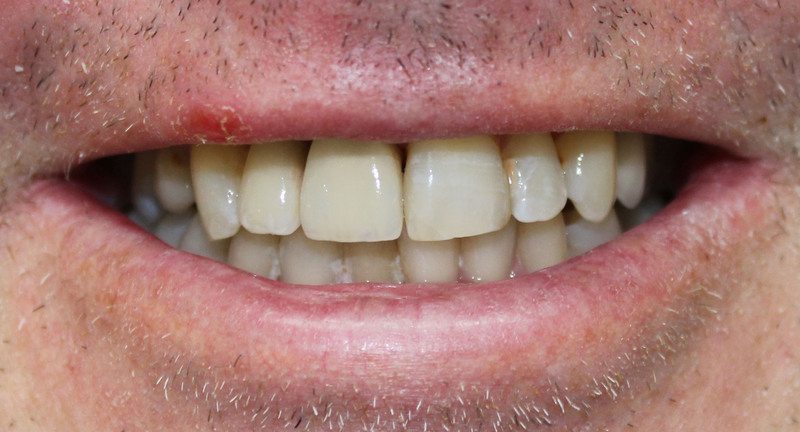 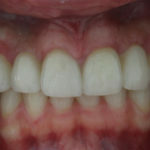 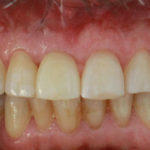 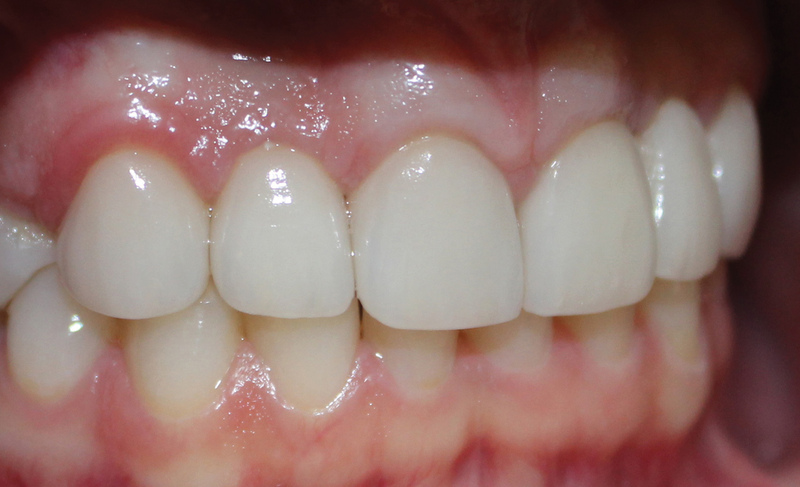 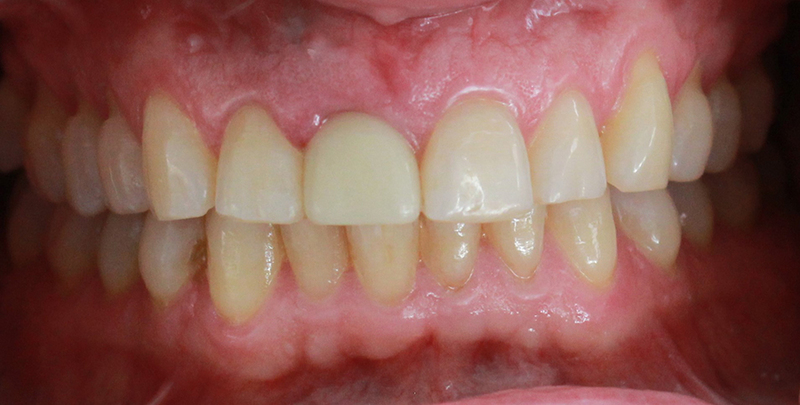 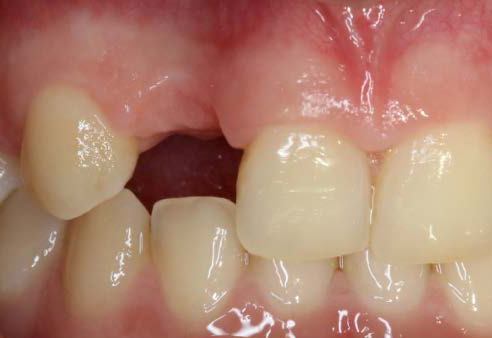 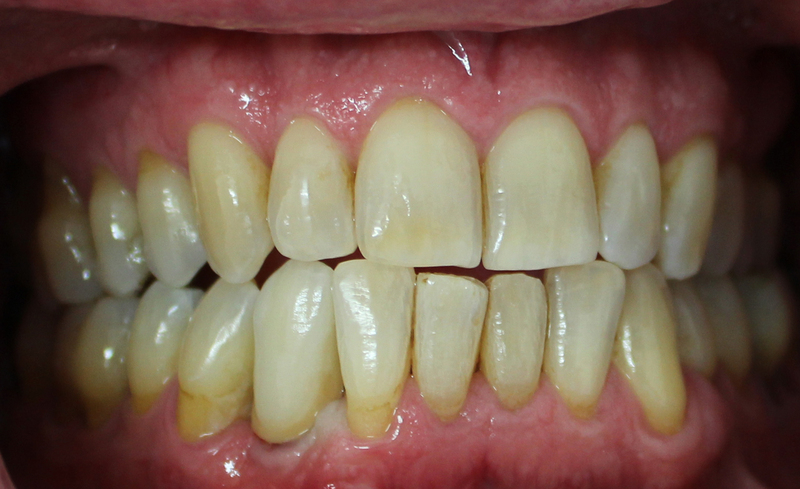 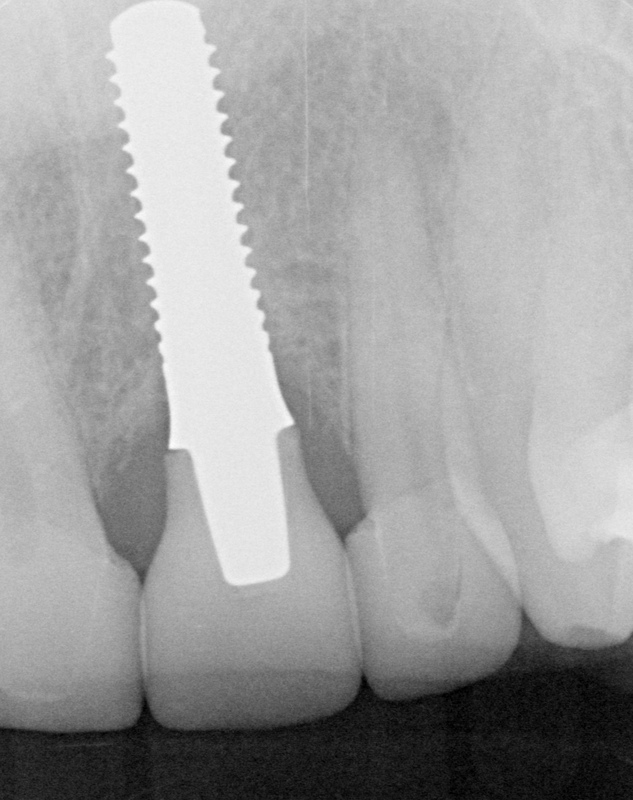 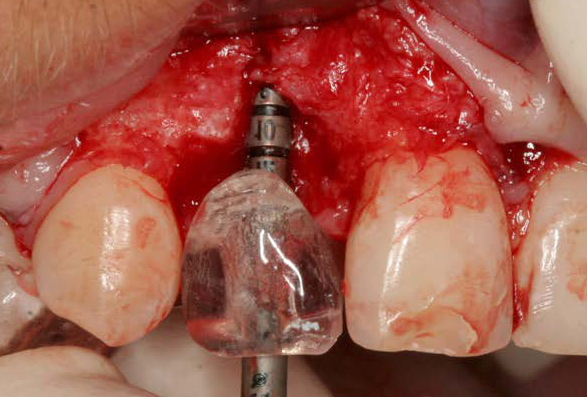 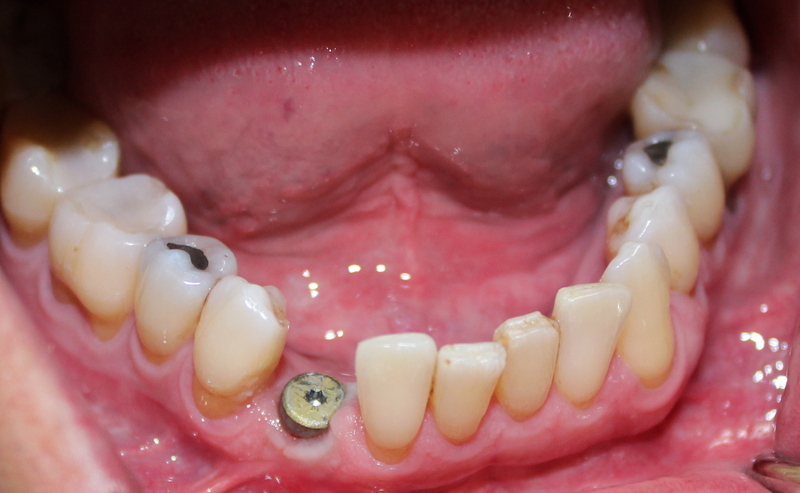 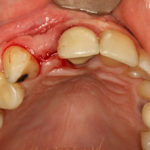 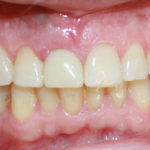 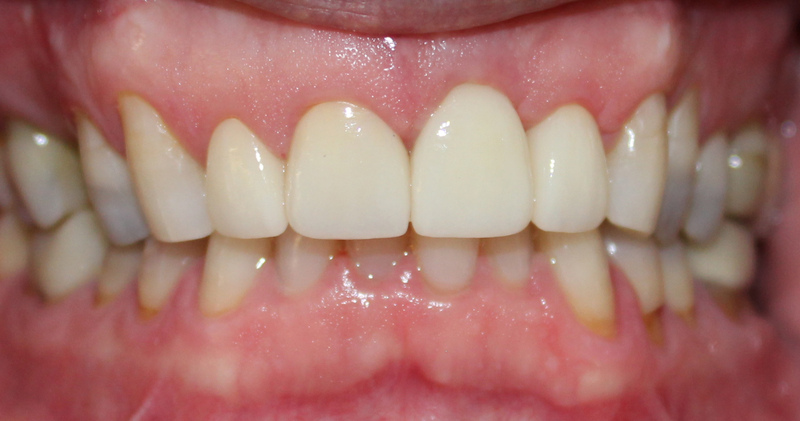 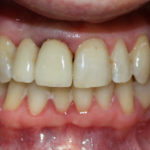 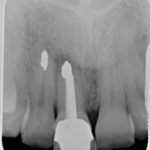 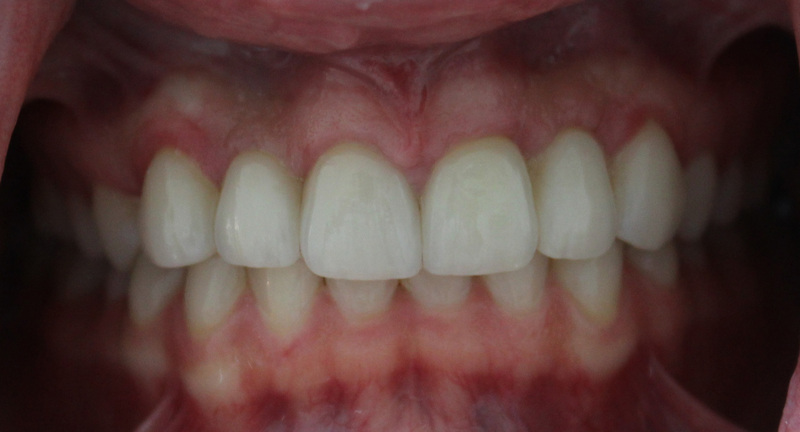 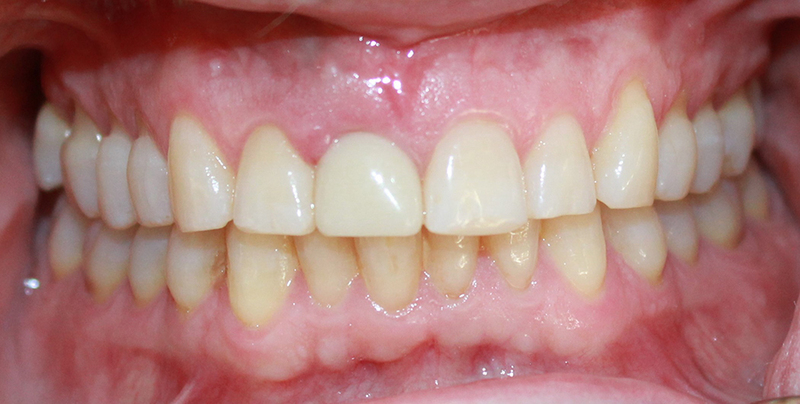 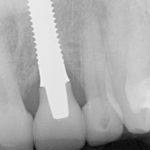 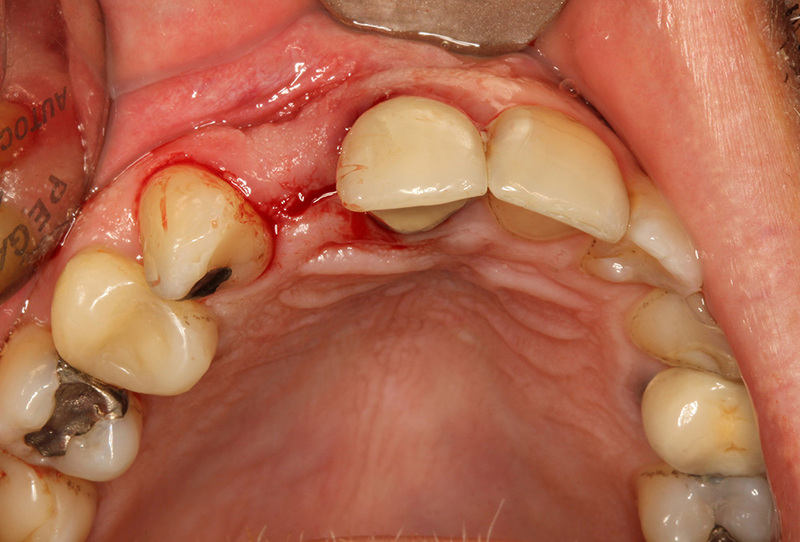 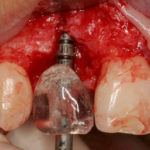 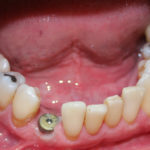 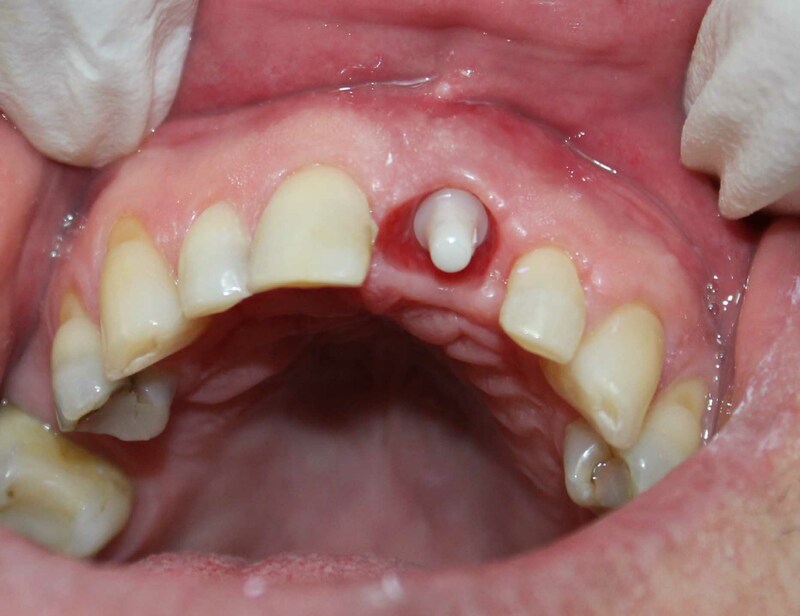 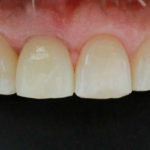 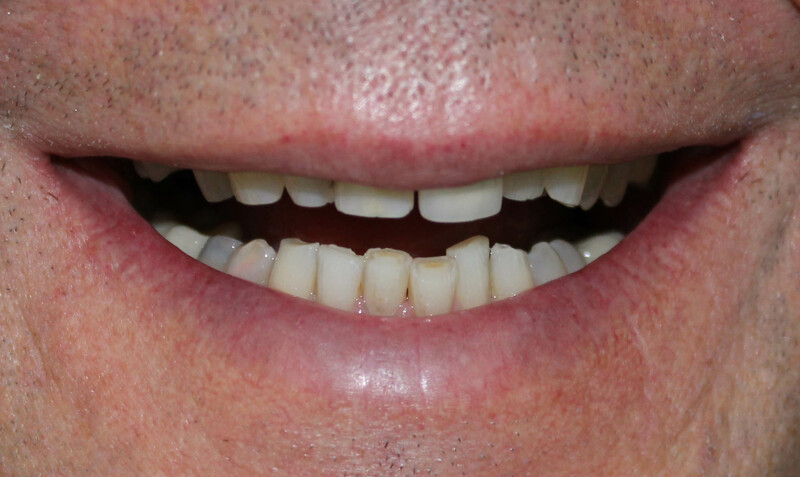 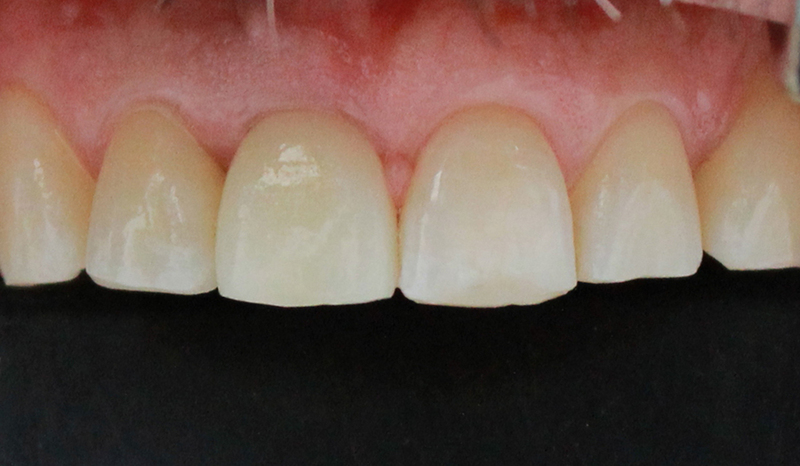 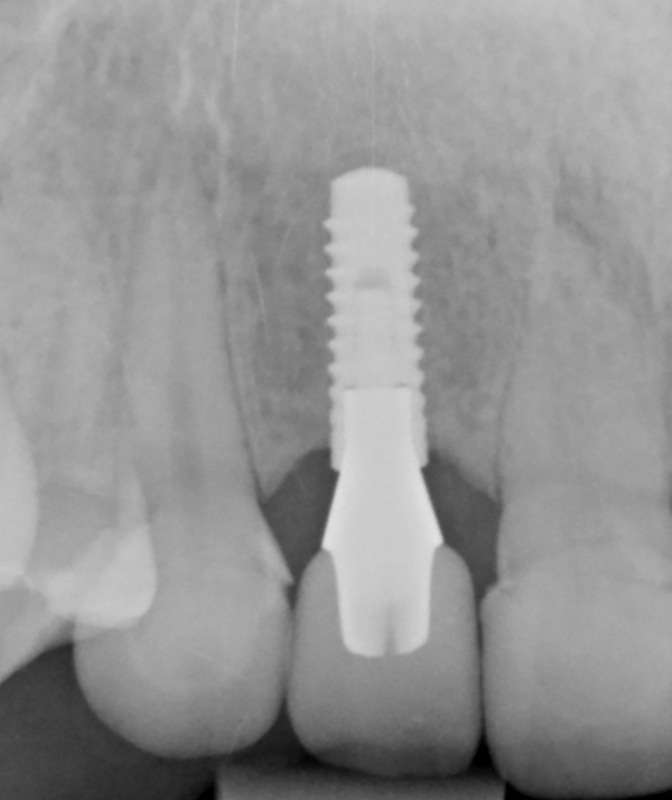 Case 1 – Extraction, immediate placement, temporary and permanent single implant crown.